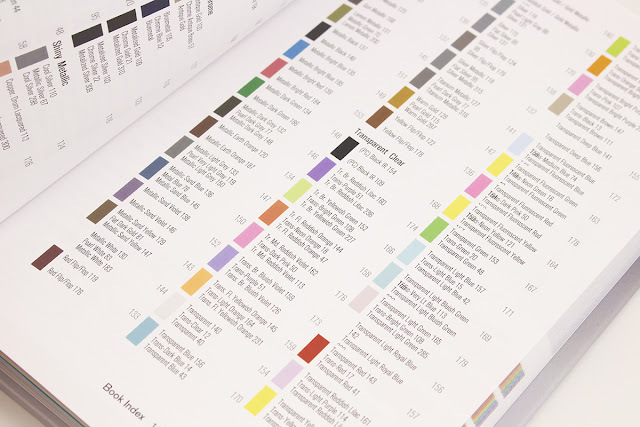 The book begins with a very brief introduction to existing color resources, then explains the methodology behind creating the book. Dr. Christoph Bartneck’s primary contribution to the field of LEGO color research in this book is his use of an X-Rite colorimeter to record the actual color of LEGO bricks more accurately. Next come images comparing similar colors: all purples together, all blues, and so on, along with their LEGO IDs. Judging by questions asked in online forums such as BrickLink or Eurobricks, we can never have too many color comparison images! The bulk of the book is devoted to the actual color images. 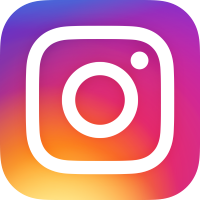 Each color gets its own page, including a photo, data such as years of use in sets and names in different color systems, and values in various color spaces (mostly taken from the colorimeter readings). Also included is a sidebar with six “Similar Colors”, which is nice to see. Which leads me to ask, who is this book for? If the colors can’t be represented accurately, why a physical book? BrickLink buyers and sellers won’t be interested in very obscure colors. Color nerds will be disappointed too, as the book leaves out several known colors like 7 Orange and 343 Diffuse White. Conversely, BrickLink’s “Light Pink” is included with a picture of the Scala necklace (BL part x11), which was debunked as a unique color several years ago. The book’s typographical errors also cast doubt on its general accuracy. “Panatone”, “Plaette”, “LEGOI”, and “Ryan Horwerter” [hi!] pop up in the first three pages. But my biggest disappointment with the book is its lack of acknowledgement of the work other AFOLs have put into accumulating the data and disambiguating the colors in the first place. There’s no mention of the research by Skye Barnick, Wouter van Iersel, Dan Pikora, and several others. 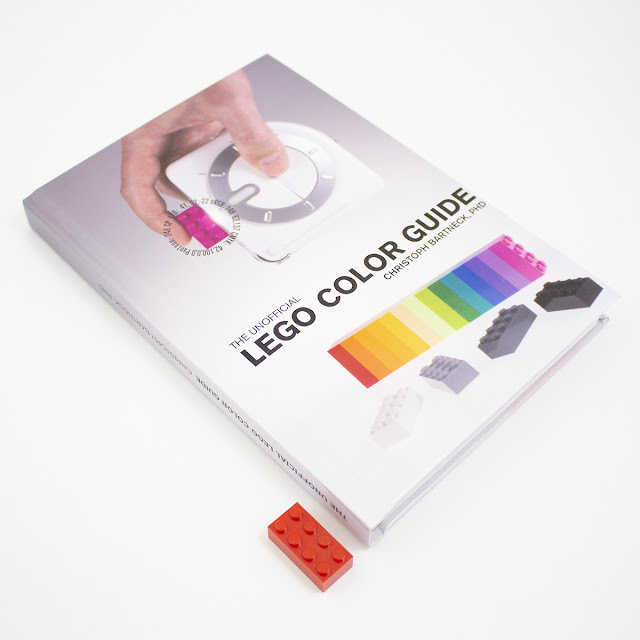 If you’re looking for accurate LEGO color data from a colorimeter, this book seems to be the only way to get it. It is kind of nice to see all these colors in a compact reference that you can hold in your hands. 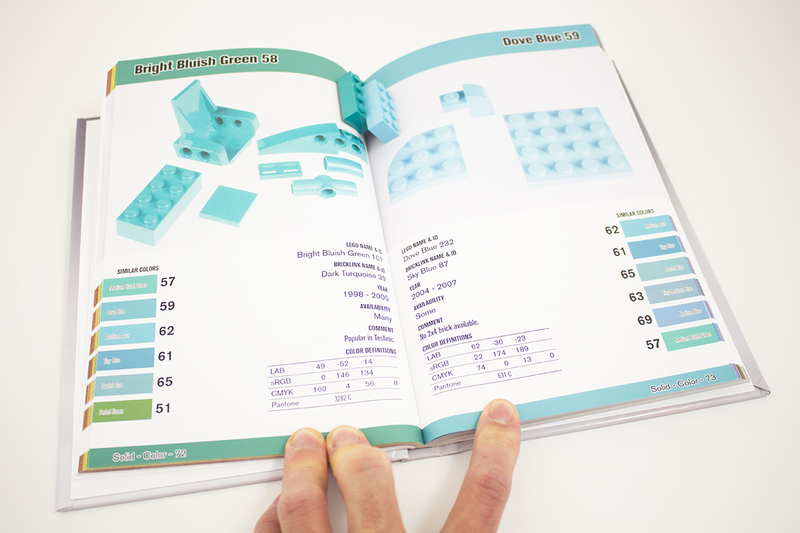 But if you’re hoping to determine exactly which shade of silver you have, or what LEGO’s official RGB values are, you’ll find this book sadly lacking. Help New Elementary keep publishing articles like this. Become a Patron! Thanks to our 'Vibrant Coral' patrons: Kevin Gascoigne, Sue Ann Barber & Trevor Clark, Nick Savage, Beyond the Brick, Antonio Serra. You're all awesome! Since someone has a copy available, I'm curious how they classified some of the Toa parts from the original run of Bionicle. There was a brainstalk that is the only part known to have been produced in a trans-fluorescent red. Bricklink currently has it misidentified as trans-dark pink. The other one I'm really curious about is the gold and silver Toa masks. I don't know what shade of gold and silver they were intended to be, but they have a very greenish tint compared to any other parts in those color groups. Ryan may well chip in, but have you checked Ryan's Colorstream on Flickr already? The comments on the 'Individual Colors' pages often discuss specific parts for rare colours. Link in article. I used to run MaskofDestiny.com, so I'm aware that we know the official color names (I argued with the Peeron admins for a long time to get TrFlRed and TrFlYel even recognized as new colors, and still failed to get them to recognize their fluorescent nature as they ended up naming them Trans-Salmon and Trans-Peach respectively). I was more curious as to whether or not the book addresses those colors as being distinct, or if it lumps them in with similar colors as sites like Peeron and Bricklink have. Anyways, I forgot about the copper masks. I only got a few pairs of those, and don't know exactly where they are, but I recently ran across a 6x6x6 box that's mostly full of gold and silver masks. I think I determined that I have about seven complete sets of those things in there, and those were just the leftovers. I actually used a pair of the gold Kakama to make a black/gold Batman-themed version of Jon Palmer's M-Wing. But, since Ryan is here, I do have a really weird question to ask. Have you any information regarding the irregular fluorescent nature of normal colors? To give an example, I have some S1 Astronauts on my fridge. I opened all of the packets myself, so I know they're all legit. However, one of the torsos (only the torso, not the arms/hands) glows under UV, while the rest are regular white parts. I've also got Jawson from Space Police III (which I pulled from the Lunar Limo set), and just the right leg and left arm glow under UV, while the rest of the orange parts do not. Even weirder than that, I know someone who has some plain red 1x2 bricks that appear marbled under UV. Clearly they aren't considered distinct colors, but the big question is how do they end up reacting differently to UV light? Is it a matter of who they source their resin pellets from? Maybe one supplier adds something that fluoresces, and others don't? As a seller/buyer, colour needs to be 99.8% or the book will be of little value. Real pity. 99.8% isn't a realistic figure :) It is impossible to exactly represent the colours of plastic in printed form, this is one reason LEGO aren't even able to match their own colouring of plastic that well in their factories around the globe. The first edition is no longer available for some time. If you review a book, please do not use an outdated edition. I am trying hard to improve the book with every edition and I take in a lot of feedback I receive from the community. The second edition uses the publishers better printing option which was already available for the hardcover version. 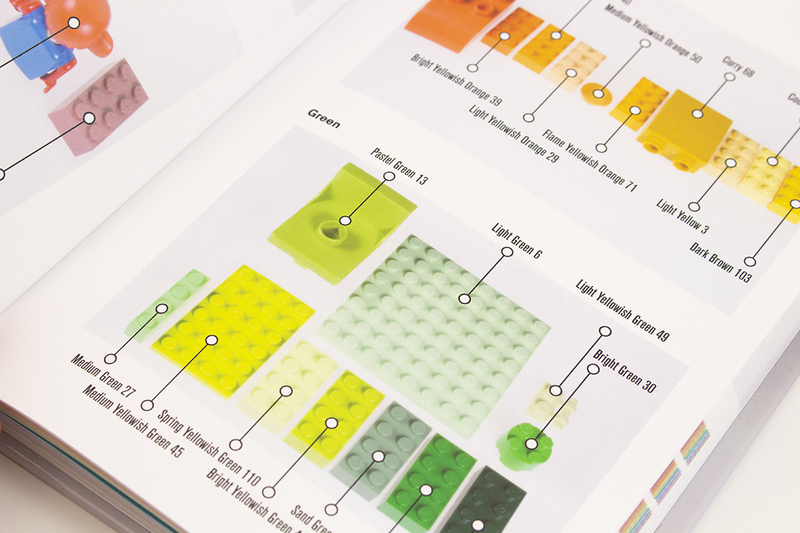 CMYK can never fully reproduce LEGO colors but this book is as close as you can get with printing on paper. If you want a better representation on a computer screen then try out the PDF version of the book over at LuLu. As for the numbering system, there is none that includes all colors. It was therefore necessary to present a new one that does number them all. The matching numbers and names to major other systems are provided. I am not sure what more could be done about the disagreement between the systems. For what it's worth, I wrote this review before the second edition was announced. I hear that you found a piece in Gun Metallic — as a community, we've been trying to hunt down the origin of this color for a very long time. Where did you find it? Could I maybe offer you a free PDF version of the book of the second edition so that you could have a look at the improvements? I will dig into my archive and database to double check on Gun Metallic. It is exactly this kind of feedback that helps me to improve the book. Than you for drawing my attention to this. For a book like this to actually be useful, it should include a plastic sample which actually represents each color being discussed. But the truly difficult thing, is we see a range of colors inside each official color. I wouldn't expect the book to contain a range of samples of each color, but that is what would truly be necessary for this to be really useful. So, if I need to identify color, I will continue to break out the physical samples to compare against.